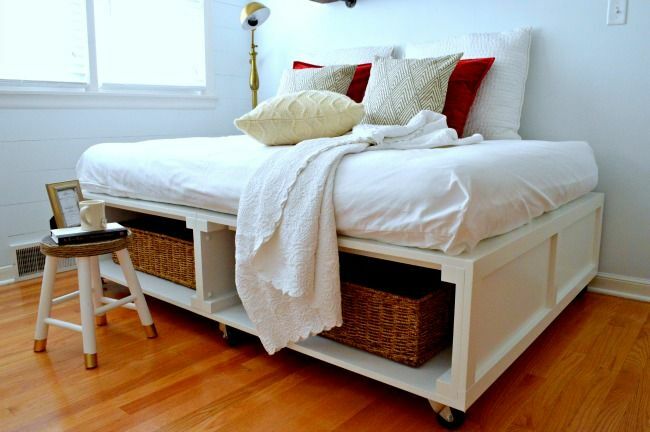 Platform beds never go out of style, and they are great way to add extra storage to your apartment. 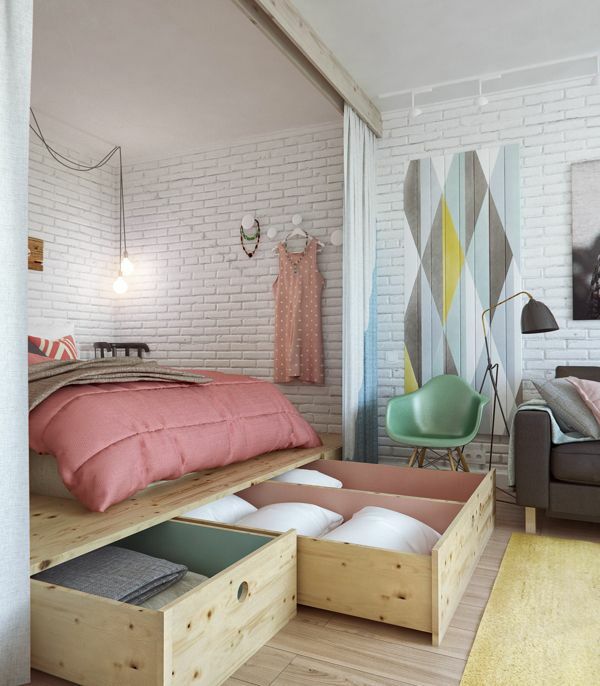 Since the price of the platforms is low, they can be made easily, and are an ideal solution when you work with a tight budget or in a small bedroom. Their sleek lines and compact design offer flexibility and versatility, making them fit in a variety of different interiors and styles. 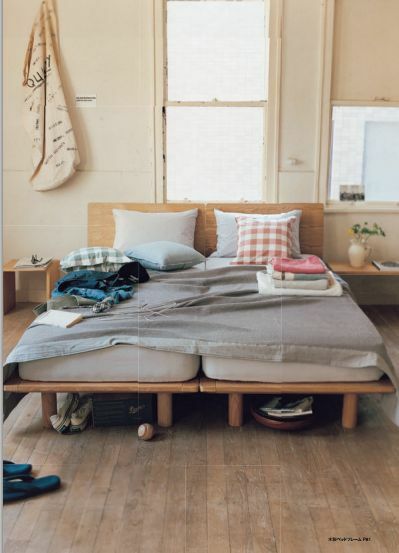 The good thing about platform beds is that they appeal not only to your eyes, but to your wallet as well. 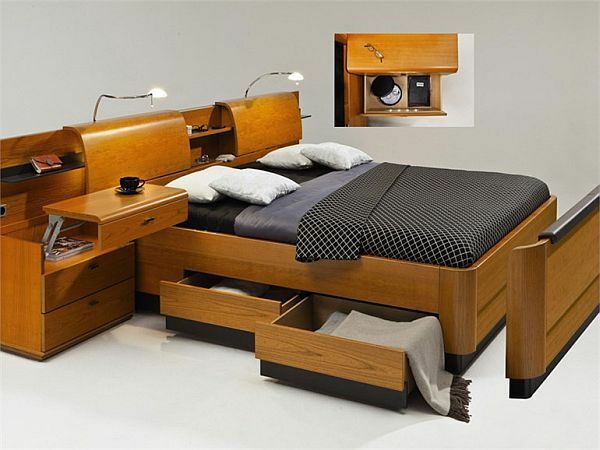 In most cases, people opt for platform beds as they offer the most functionality and the best practical solution for a small bedroom. 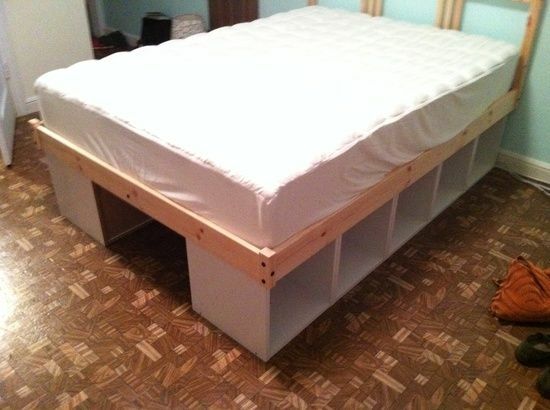 The first way platform bed saves you money is that you don’t need to purchase a box spring. 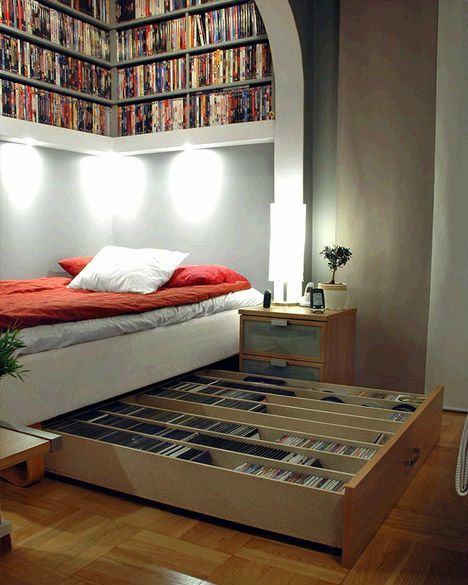 You can install built in storage in them, drawers, shelves or anything else you can think of and add valuable storage space. Some platform beds look like they are floating in space, but in reality, they are perched on another small base. You cannot see the small base from the outside, but if you peer underneath the platform bed, you’ll notice it. 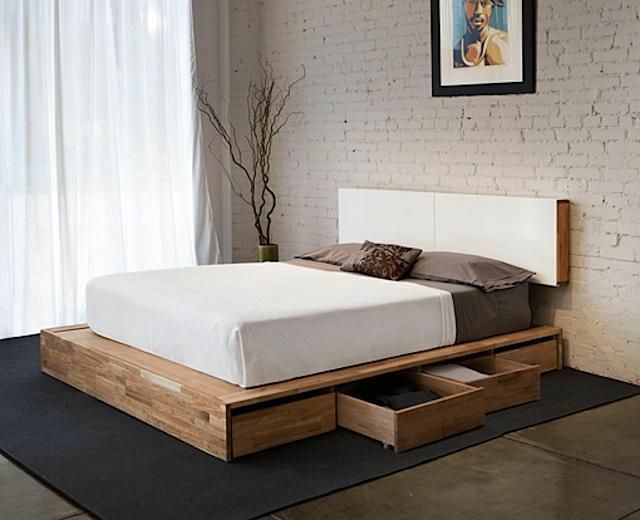 These types of platform bed do not offer much extra storage. 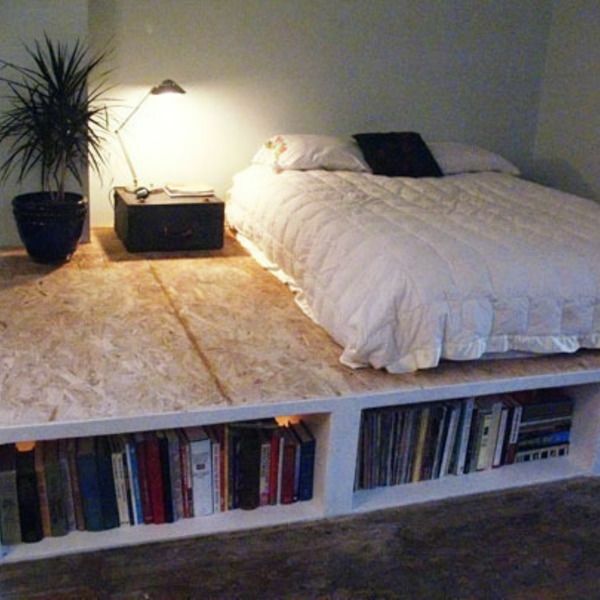 One way to add functionality though, is to make the platform several inches wider than the mattress and use the extra space as a nightstand. 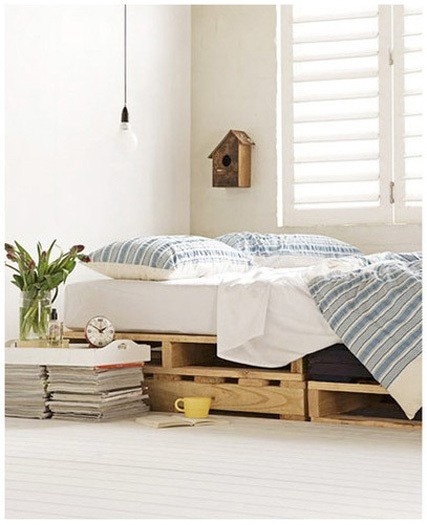 Another option for a platform bed is with shipping pallets. Their rough texture is an excellent option for a do it yourself handmade platform bed. You will need to fasten several pallets against the wall in a vertical manner. Instantly, you get a platform, and you can paint the headboard and the frame in different colors if you prefer more finished look. Last, but not least, you can add shelving units, alone or in combination with wood framing. The shelving units are extremely easy to assemble and their price is affordable.